Palatial structures, fairytale gardens, and majestic fountains all within a stone’s throw of your front door. Is it hard to believe that this exists around the corner from West Chester, Pennsylvania? Hardly. This is the reality when you live in the Sharples Works apartments for rent near Longwood Gardens. These beyond-charming award-winning apartment homes are waiting for you to discover all the treasures that their greater backyard holds. Longwood Gardens features more than 1,000 acres of botanical gardens in the Brandywine Creek Valley. Meandering paved trails take you through breathtaking gardens, woodlands, and meadows that will bring you to an otherworldly place outside your everyday hustle. 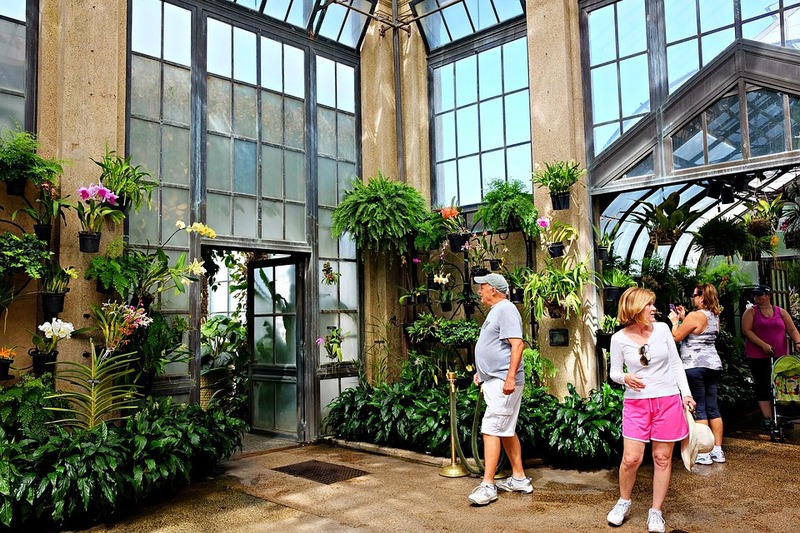 As one of the DuPont estates in the region, you will find both indoor and outdoor botanical attractions open year-round for its guests to enjoy. Living in apartments for rent near Longwood Gardens will make you feel more like a neighbor than a guest, and you will most definitely become a card-carrying Longwood Gardens member. Whether its musical presentations, fountain shows, model train displays, orchid exhibits, or holiday festivals, Longwood Gardens has something for everyone to enjoy regardless of age and interest. When your home is one of Sharples Works’ apartments, you will regularly take advantage of being so close to this cultural haven. If you are an artist or a lover of the arts, Longwood Gardens is the place for you to immerse yourself in exquisite performance and atmosphere. Longwood Gardens is not just for entertainment and awe. It is also a classroom for education of all types. From art classes to floral design, from gardening to the science behind it, Longwood Gardens will help you build upon your interest in a topic and bring you closer to being an expert. Living in apartments near Longwood Gardens means expanding your education through proximity to this outstanding botanical resource and its amazing educators. Nearby Philadelphia is not the only place to find extraordinary cultural experiences, world-class arts, and education beyond the traditional classroom. Your life in West Chester brings you all of this in the beauty of the Brandywine Creek Valley. Our apartments for rent near Longwood Gardens are waiting for you to move in and add your fingerprint to the varied mosaic of this region. Call us at 610-431-2864 or contact us online today so we can give you a tour of your next new home.